Through fifteen games, Saint Joseph’s has been, in a word, disappointing. The undeniably talented Hawks have shown great potential at times (Notre Dame) and have looked terribly mediocre (Fairfield) at others. More often than not, the half-court offense has been stagnant and the defense has given up far too many offensive rebounds. The short bench has led the fanbase to refer to SJU as having a 6.5 man rotation, at times, and it has arguably caused the Hawks to falter late in games. In the win against Duquesne, Saint Joseph’s made one field goal in the final six minutes of the game and were lucky to leave Pittsburgh victorious. In a recent article on Philahoops, Aaron Bracy frames this year’s St. Joe’s team as being a victim of expectations. “The problem, though, is many Hawks fans and college basketball observers expect Phil Martelli’s unit to be 14-0”, Bracy writes. This is simply false. I’d argue that most Hawk fans expected SJU to be anywhere from 10-4 to 12-2 at this point, which is perfectly reasonable considering the talent this team possesses. 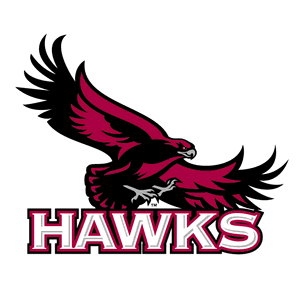 When national writers said the Hawks had their best team on paper since 2004, they didn’t mean they expected Saint Joseph’s to go undefeated throughout the regular season. Hawk fans probably expected a loss to a very good Creighton team on the road. A home loss to ranked Butler was not expected but was understandable and forgivable. Consecutive losses to Fairfield (at home) and Villanova however, were unacceptable to a fanbase that hasn’t seen a tourney appearance since 2008 and is getting more and more restless. Bracy himself had the Hawks ranked as the best team in Philadelphia at the beginning of the season. Now he ranks them fourth. Were his expectations too high? Statistically, the Hawks have regressed in many categories. Points per game, assists per game, field-goal percentage, and three-point percentage are all down. The team’s offensive efficiency has marginally improved but the defensive efficiency has plummeted. How does one explain that for a team that has returned every player and now includes six upper-classmen compared to last year’s one? Was it really too much for the fanbase to expect an improvement from last year’s 20-win team? Numerous media outlets have pointed out that starters have been absent for a good part of the season. This would be a valid point if Saint Joseph’s hadn’t been playing at full strength in three of its four losses. The lone loss coming without a starter was the game against Fairfield in which Saint Joseph’s shot just 33%. Spinning the narrative to say the Hawks have not had a chance to “mesh” would be silly as the core of this team has been playing together for three years now. There were good reasons there were lofty expectations surrounding this team and, thus far, they simply haven’t lived up to those expectations. The blame should not fall on the fans. It falls on the players but mostly the coaching staff for their inability to take advantage of the obvious talent they possess and improving only marginally since last season. Much of the lack of player development falls on the coaches. Do the Hawks have an opportunity to make up for their slow start? Absolutely. The majority of their conference slate remains and potential quality wins against VCU, Temple, Saint Louis, and others await. Was it really too much for the fanbase to expect enough of an improvement from last year’s 20-win team for an NCAA birth and a top-four A10 finish? Not in the slightest.